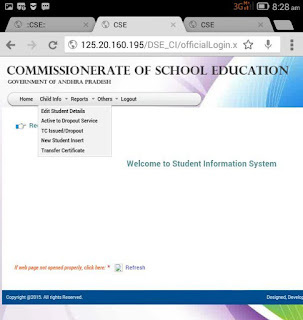 Four easy steps are there to enter new students (Admissions) in our child info in cse website. 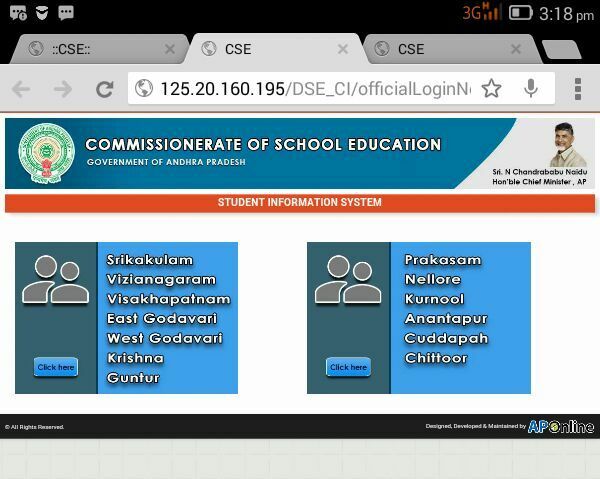 After open the CSE website, we go to STUDENT INFORMATION SYSTEM and click there. After click on STUDENT INFORMATION SYSTEM, the page will show like below. In this step find our DISTRICT and click on that side. Left side districts are: Srikakulam, Vizianagaram, Visakhapatnam, East Godavari, West Godavari, Krishna, Guntur. Right side districts are: Prakasam, Nellore, Kurnool, Anantapur, Cuddapah, Chittoor. 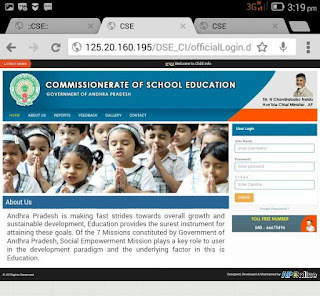 After click on our district, The page will show like below. On the right side of the corner, We enter USER ID and PASSWORD. If the website ask to change new password, we should change it. After enter our dise code and Password and captcha code. The page will show like below. In this step we click on "Child info"
In child info five item are 1. Edit Student Detail 2. Active to Dropout Service 3. TC issued / Dropout 4. New Student Insert 5. Transfer Certificate. We enter what do we want that means If we edit out student info click on 1, If we Active to Dropout click on 2, If we issued TC click on 3, If we insert new student click on 4, If we issue TC click on 5. 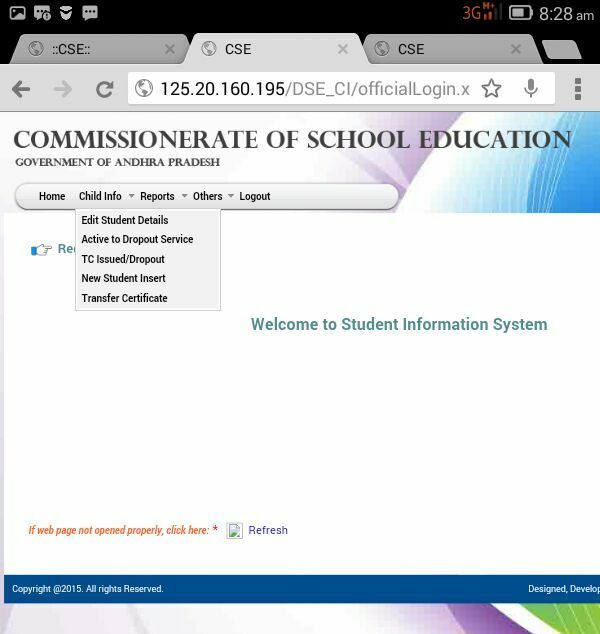 If we enter in New Student Insert, we insert the new student with his/her ADHAR NO/EID NO. Thank you for your great supporting.